Expressing strong concern over the indiscriminate use of antibiotics, the World Health Organisation (WHO) has cautioned that the current practice is increasingly leading to resistance to medicines, persistence of infections and treatment failure. The alarming situation of antibiotic resistance is evident from the injudicious rampant use of antibiotics by prescribers, patients not completing full treatment courses, overuse of antibiotics in livestock and fish farming, inadequate control of infections in healthcare settings and poor hygiene. A WHO official is implied to have said that millions of lives are now dependant of antibiotics for common infections and minor injuries, which till now are treatable. However, with the growing resistance of our body such infections and injuries might have the potential to kill millions. More worrisome is the fact that the adopted resistance to antibiotics will make complex surgeries and management of several chronic illnesses like cancer extremely difficult. 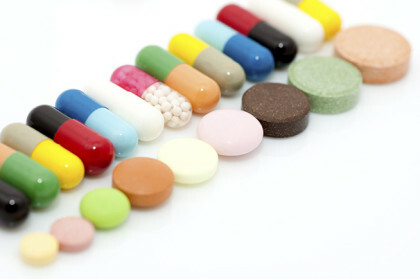 Reportedly, as further implied by WHO, even today without an effective prescription of antimicrobial medicines, a number of common infections such as hospital-acquired ventilator associated pneumonias, urinary tract infections, diarrhoea, gonorrhoea, tuberculosis and malaria are already becoming harder to treat. “Immediate action is needed to stop the world from heading towards a pre-antibiotic era in which all achievements made in prevention and control of communicable diseases will be reversed,” Regional Director of WHO South-East Asia Region, Dr Poonam Khetrapal Singh, said at a recent regional meeting of WHO at Dili, the capital of Timor-Leste. Health ministers and senior health officials of 11 member countries of WHO South-East Asia Region attended the 68th meeting of the Regional Committee. Singh urged WHO’s member countries in the south-east Asia region to urgently address this threat to public health. A recent forecast for the potential human and economic cost estimates 10 million deaths per year globally and two to 3.5 per cent less global gross domestic product by 2050 if antimicrobial resistance goes unchecked, she said. “And the problem is compounding. Unless we act now, the consequences might be irreversible,” the regional director warned. Reduced productivity from persisting illness, and its cost of treatment, adds to the economic loss, Singh said, adding that “comprehensive and integrated national action plans are needed to respond to antimicrobial resistance”. Countries need to strengthen the monitoring of the extent and cause of antibiotic resistance, improve infection-control in hospitals and regulate and promote appropriate use of medicines besides creating increased awareness among the general public as well as health workers and pharmacists, she said. The WHO South-East Asia regional strategy, the Jaipur Declaration on Antimicrobial Resistance, 2011, and the recent Global Action Plan needed to be implemented in totality keeping in mind national priorities and contexts to prevent and contain antimicrobial resistance, she said.